Munich Oktoberfest is without doubt the king of all beer festivals. But for the discerning beer lover, it is not the size of the beer festival that counts. The Belgian Beer Festivals are not as well publicised internationally as Munich Oktoberfest, yet Belgium has a tradition of beer making and produces some 500 different varieties of beer, including some world famous brands. Looking at their annual calendar of events, there’s a major event or beer festival almost every month of the year and below is just a sampling of them. If you’re planning on any Belgian beer festival visits, below are some of the dates for 2018. Note: Some festival organisers have yet to come up with dates for their 2018 beer festivals, especially those in the second half of the year. Before you book any flights, it is advisable to check the beer festival websites closer to the event date as many of the dates are either not yet confirmed or may change. February 3 & 4, 2018: The 2018 Bruges Beer Festival is at the Markt. The festival features more than 350 beers from 80 breweries, including quite a number of new beers and exciting ones such as Flanders Field, Gulden Spoor Blond, Hippoliet, Houblons, Indian Summer and Keyte Kriek Magic to name a few. Apart from beer tasting, you can watch some top chefs cooking their gastronomic delights with beer, and you can taste the food as well. For Bruges Hotels: See here. February 23 – 25, 2018: Those who like traditional beers will enjoy Sohier’s 3-day beer festival, known as “The WEBS” to the regulars. Set in the town of Wellin, Sohier has more than 130 different beers, many of which are from traditional production and also some “exotic” beers. April 28 – 29, 2018: This great beer festival takes place in the modern Brabanthal event centre in Leuven where there’s plenty of space for brewers and visitors. There are approximately 500 beers from the Belgian breweries and beer firms featured. There is no entry fee and no pre-booking is required. Just buy your beer-tasting tokens from one of the 88 stands staffed by the brewers. Please leave your pets and cigarettes at home. The venue is smoke-free as cigarette smells get in the way of good beer tasting. Opening hours are 12:00 to 23:00 on Saturday and 11:00 to 21:00 on Sunday. For Leuven Hotels: See here. April 2018 (tbc): Bouillon shopkeepers display all beer products, including local producers of specialty beers. There are tasting sessions. May 2018 (Scheduled for May – dates tbc): This is an annual event where the Party Service and tradesmen of the Grand-Place organize a weekend dedicated to beer. Visitors can taste traditional beers from the numerous stalls which includes the big brands that made Belgium famous as the World Center of Beer. April 27, 2018: This one-evening event includes Lambic breweries and Geuze blenders of the Payottenland and the Senne Valley. The Night of the Great Thirst is a smallish event offering naturally fermented Lambic and Gueuze beers. This event takes place every two years and 2018 is the year. May 2018 (tbc): Normally held in May, in Kasterlee, but at this stage there’s no information as to whether Oktoberfest Belgium will take place in 2018. Check back later for updates. May 17 – 21, 2018: At this regional beer festival in Liège , some 20 breweries will be presenting the fruits of their labour and their know-how on place Saint Lambert in the heart of Liège. As an added treat for your taste buds, there is a gastronomic festival being held simultaneously at Espace Tivoli. June 22 – 24, 2018: The 19th Bierpassie Weekend will be held in Groenplats Square in Antwerp. This summer festival offers over 200 beers and more beers are added each year. July 2018 (tbc): Now in its 24th year, there are more than 200 Belgian and foreign beers to discover here! July 2018 (tbc): The breweries of the province of Luxembourg gather in Hotton for beer tastings, explanation of different brewing methods, music, raffle for a basket with regional products, and street animations. August 24 – 26, 2018: An interesting festival on the north coast of Belgian. Beer lovers can enjoy more than 150 Belgian beers from over 30 breweries and then enjoy Leopoldpark or head for the beach. August 2018 (tbc): An event to celebrate the birth of the famous La Chouffe Belgian beer. This event takes place on in early August where you can discover the art of beer, learn how to serve and taste a Chouffe and how to match it to your meals. August 2018 (tbc): Usually held on the third weekend in August, the Festival of 100 Beers is like a “Beer Games” with bike races, card games, culminating in the tasting of 100 beers. There’s also a family day with barbeque, entertainment for children and music. August 25 – 26, 2018: Held in the town of Grez-Doiceau, the aim of this festival is to acquaint people with lesser-known beers in Walloon Brabant. Each year, the organizers endeavour to present new products to visitors and there will be numerous tasting throughout the weekend. August 25-26, 2018: This newest of Brussels beer festivals has the aim to make Brussels one of the best beer cities of the world. With the number of beers that the Belgians produce, this should be an achievable task. Over the two days, visitors can taste 350 beers from 60 breweries. If this is not enough, hang around for the Brussels Beer Weekend on the following weekend. From September 7 – 9, 2018: Brussels’ Grand’Place – Grote Markt hosts the 19th Belgian Beer Weekend with a multitude of stands offering the opportunity to discover some of their best Belgian beers. Many small, medium-sized and large Belgian breweries will present their best selections of beers – in total some 350 different Belgian beers. Entrance is free and beer prices are very reasonable! Entertainment such as jazz bands, brass bands, activities for children will accompany your beer tasting. From September 8 – 9, 2018: At this 22nd Fete de la Biere, you can go on a sampling trail all weekend and discover regional beers, breads and cheese. From September 2018 (tbc): Great hops festivity in the town of Erquelinnes. Learn about the history of hops and join in some hops picking. The hops are weighed and prizes awarded for the best hop and fastest picker. There’ll also be entertainment throughout the weekend including music, guided tours of the brewery, parachute jumps and craft exhibitions. October 2020: Poperinge is the charming hop metropolis in the southwest of West Flanders. This is a triennial hop and beer festival so if you missed the 2017 event, you’ll have to wait another three years. 1st Sunday in Oct 2018: This beer event takes place in the town of Lustin (Profondeville) with displays of beer glasses, bottles, labels, coasters, old ads, clocks, mirrors, pints, jugs and other collector’s items. It claims to have available 850 varieties of beer (that’s what they’re claiming! ), including meals cooked with beer. October 2018 (tbc): Good news for lovers of Oktoberfest – Oktoberfest Brussels will take place at the Sheds of Tour & Taxis this year. October 2018: This festival takes place from 2 p.m. in mid-October and features 23 brewers who will present more than 100 beers. Beer connoisseurs will have to opportunity to meet the beer makers and discuss their favourite brews. A special BLES beer is brewed for the festival each year and this is matched to a cheese that is also specially made. The BLES Bierhappening location is within walking distance to the train station and is wheelchair accessible. From October 2018 (tbc): This takes place in the heart of Gaume, on the third weekend in October, where you can visit different stands and meet 26 Master-Brewers and taste their products consisting of more than 80 different beers. Also, enjoy local cuisine made from Belgian beer. October 27 – 28, 2018: This 23rd festival of very special beers is an annual event in Poperinge. It features 25 breweries which produce 100 local Flemish beers, mainly brewed in small quantities, but with special aromas. December 2018 (dates to be confirmed): Enjoy 70 Belgian beers whilst you look around at the Christmas cribs of about 20 exhibitors. December 15 – 16, 2018 – At the two-day OBER (Objective Beer Tasters of Essen Region) Christmas Beer Festival, visitors can taste more than 200 Belgian Christmas and winter beers in the small village of Essen, near the Dutch border. They say that their beer list is one of the best in the world, so you’ll need to go and check this out yourself. Ticket pre-sale starts on August 1 and the Saturday bookings usually go very fast. If you’re planning on attending this festival, mark your calendar and keep a lookout on their website. 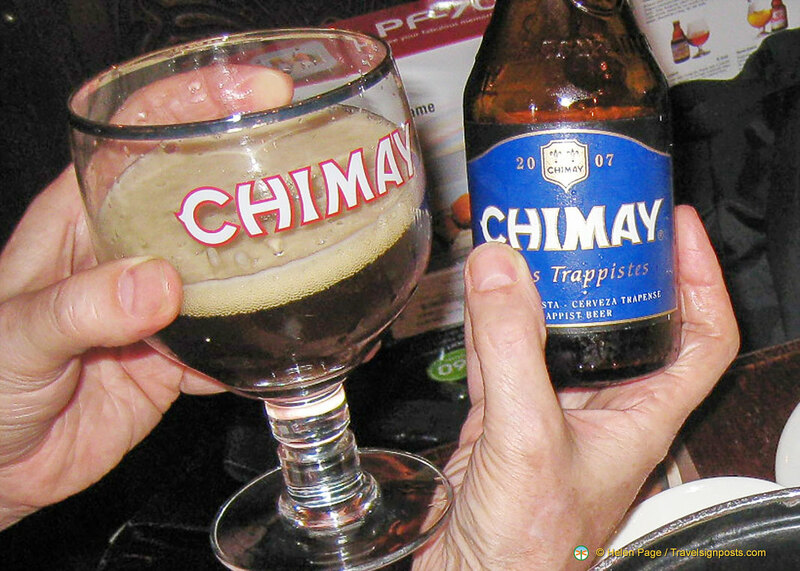 So, if you love a good brew, Belgium may be a good stop for your next holiday itinerary. Search, read hotel reviews and book Belgium hotels here. Also worth mentioning The Bruges’ Beer Festival. Dear, La Grande Choufferie is not from 5 th till 7th august, but it will be on 12, 13 & 14th of august 2011! Merci Christelle, dates have been changed. Next week at Gent, Belgian Beers Week! More than 60 beers on very low prices! Can anyone please confirm if the beer festival below is now confirmed and where we can find further information on it. I’m planning a Stag do and would love go there, but don’t want to get accomadation until its confirmed. I’ve not been able to find any confirmed dates as yet. Can I suggest that you contact the Brussels Tourism office directly. They should be able to help you. I have contacted them and they are letting me know about the confirmed dates. I’ll forward any conformations re dates to you. Thanks Ben, that’s very kind of you. Good luck with your planning and what a great idea to go to Brussels. Did they get back to you about the dates for Brussels Oktoberfest 14-25 October? I received confirmation that the Brussels Oktoberfest will definitely be on this year, but unfortunately, they’re unable to confirm the date as yet. Thanks for this, just wondering if you had to narrow it down to a top 5, what would it be? It’s hard to say what the top 5 are, as it very much depends on individual tastes, i.e. whether you like the huge touristy events or prefer smaller regional festivals or festivals with specific beer types. Our list of Belgian beer festivals is by no means comprehensive and there would be other great festivals that we are not aware of. If you haven’t been to Belgium before, then the Belgium Beer Weekend at the Grand Place would be a great introduction as it’s held in and around the magnificent town square. Other popular ones appear to be Zythos St Niklaas, the Weekend of Special Beers in Sohier Village, De Nacht van de Grote Dorst, Eizeringen and the Kerstbier Festival in Essen with its special Christmas beers and Christmas atmosphere. The link below describes some of the festivals in greater detail which hopefully will help you decide. I am taking my husband to Bruges in late October – are there are beer festivals on, in that region between 24th – 28th October? I’m not aware of any beer festivals in Bruges in late October. Here is a site that has some information about beer-related places. I don’t know how up to date the information is, however it gives you some names to research. – Gambrinus is one of Tony’s favourite beers and it seems that one place not to miss is the Gambrinus Bar on Philipstockstraat. Named after the fabled King of Beers, Gambrinus, it’s a beer lover’s paradise. – De Halve Maan (Straffe Hendrik) is another brewery that is recommended. thanks Helen, that is really very helpful! I have been a couple of times myself about 5 or 6 years ago, and I thought it was around October time (might have been November, thinking about it now…) and there was a beer festival on then, but for the life of me, I couldn’t remember the name… but the town is lovely nevertheless so I am sure we’ll find that Gambrinus Bar and have a good time regardless! Let me know if you find any secret beer places. People are always interested. How much does it cost to taste the beer at the Brussels beer weekend? For the Beer Weekend payments can only be made by the official crowncorks. 1 crowncork costs 1 Euro and you’ll need to purchase a minimum of 5 crowncorks. I like this blog thanks for such a great Information.Great article, it was very helpful! I Kindly Continue your great job !!! In love your Belgian Beer site. I have been following it for years! I was wondering about the “Belgian Beer Festival / Beer Collectors’ and Exchange Market 2014 (Lustin)”. I couldn’t find anything online about it. Do you happen to know the dates or know where I can find them? According to the Lustin website, the Beer Flea & Exchange Market is held on Sundays between Ascension and Pentecost and there is also a flea market on the first Sunday in October. The link below is for the Museum of Beers which you may wish to contact to get further information. Thanks for following our Belgian Beer site. I was looking to go to a Christmas beer festival possibly in Essen but can’t find any 2018 dates,any ideas? Essen Christmas Beer Festival is on December 15 & 16 this year. I’ve updated my post so you can check it out for updates.